It was, in short, a betrayal of all things fundamentally nationalist. For the past week I’ve been watching a lot of British Parliament as it debates, and I use that word very loosely, the situation Mrs. May and the MP’s themselves have put the country in. And, in a word, it is shameful. 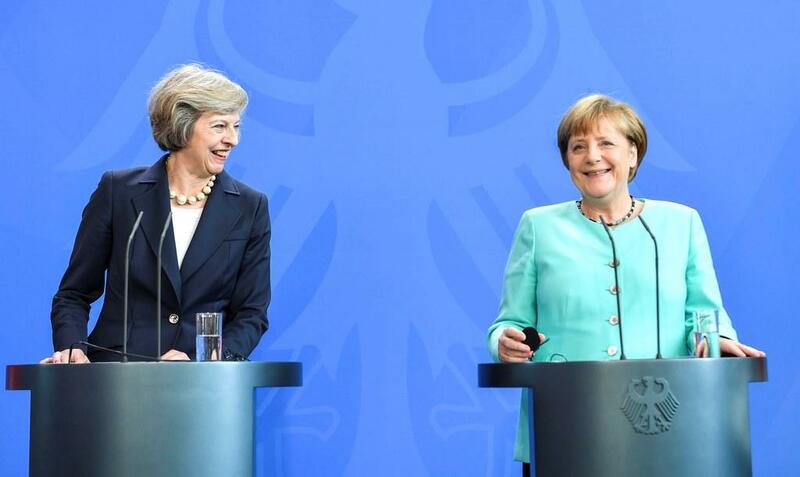 May and Merkel both miscalculated terribly on what the British people would accept. It’s obvious that both only thought in terms of the kind of political leverage they could bring to bear on the House of Commons which would eventually force them to cave to supposed horror-show of a ‘No-Deal’ Brexit. Make no mistake, the horror show would mostly fall on Germany – whose banking system, already teetering on collapse thanks to other rifts forming within the currency bloc – and export-driven economy would suffer from the Brits having more control over the exchange rate of the pound versus the euro. A lower pound would be the first result of a no-deal Brexit. Good for long-suffering British manufacturing and bad for Germany’s, since the UK is Germany’s biggest export market. Economically and philosophically, no-deal is the best deal for the UK But don’t tell that to the MP’s who are scared to death of it. But what’s most important about all of this is that it is all just a symptom of a much deeper problem, the unwieldy nature of the European Union itself. Germany and the elites who have pushed this project, the unelected financiers I like to call The Davos Crowd, are dead set against anything that obstructs its completion. The wave of nationalist political fervor racing across the continent is, however, a consequence of their trying to form a political and fiscal union that far exceeds the original mandate sold to voters when they joined. And that is threatening to tear Mrs. Merkel’s union to pieces. This is why she and her posse in Brussels are so committed to screwing the British people. They have to send the right message to Italy and Hungary. It’s why they want $39 billion. It’s why they are using the non-issue of the Irish border to tie the UK into the customs union and single market forever. But, make no mistake, just like Merkel’s horrific treatment of Greece was seen as unconscionable by people across Europe in 2015 they are looking at how the Brits are being treated and are equally as appalled. Merkel, Juncker et.al. all saw the divisions within the Labour and Conservative parties that have resulted from their planning and thought them to be assets. But they aren’t. Maybe in the short-run it will get them what they want, another moment to kick the can down the road a little bit further. But in the long-run all it is doing is setting up for another round of Brexit in the future with a much less plastic set of circumstances. Because, as I said earlier, they have miscalculated. The British people are fed up with them and with their own government. The Labour party is squealing out of both sides of its mouth trying to get themselves out of the corner they’ve painted themselves into. Because they can read the polls. And what was a solid Labour lead in the winter has become a solid Tory lead in the Spring. Because as split as the Tories are, voters understand that there are more of them trying to implement their will than there are Labour MP’s. And that counts for something. Mrs. May has made a mess of things thinking she could shoe horn a terrible deal through parliament that would satisfy the EU while blowing up the traditional two-party system in the House of Commons. And this is why I say to hardened cynics who think these people are all-powerful that they aren’t. They are smart but they aren’t clever. They do the same thing that has worked before and run the same playbook. Brexit looks exactly like the Greek debt talks. Merkel didn’t update her playbook for 2018. It wasn’t a short-term negotiation. It was a three-year process that tried the patience of 66 million Brits. And they have seen the real face of the EU and many more of them want no part of it. If you want a catalyst for a European sovereign debt crisis, look no further than Brexit now or the downstream effects of a delayed Brexit later. If an extension is approved by the EU and given to the Brits, Euroskeptics will go from commanding a projected 32-33% of a 705 seat European Parliament to possibly 35-36% of a larger one that includes the Brits. Because if Brexit is delayed and betrayed do you think Remainers will be elected en masse? Or do you think Farage et.al. will not storm into Brussels mad as hell? Merkel and May may have won this battle using their useful idiots like Anna Soubry and Ian Blackford but they will lose the war as the rest of Europe comes to terms with being frog-marched towards a future they neither want, signed up for or are willing to pay for anymore. No wonder the Yellow Vests keep showing up every weekend.